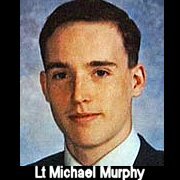 In memory of Navy Lt. Michael Murphy, 29, of Patchogue, New York, who was killed in Afghanistan on June 28, 2005. Partition the pull-ups, push-ups and squats as needed. Start and finish with a 1-mile run. If you have a 20-lb. vest or body armor, wear it.